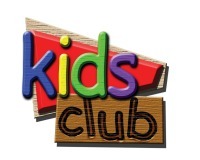 Westfield Kids Club run a gardening club, the children enjoy all aspects of gardening from weeding to planting, & maintain the planters and raised garden areas around the Westfield complex. We do fund raising events throughout the year & in May Kids Club had a Wheel-a-thon, all children did 26 laps of the playground on wheels, they had Bike’s, Scooters & Skates. The Children raised £216 for children with cancer. We celebrated the Queens Diamond Jubilee with decorations throughout and a colouring competition. At Westfield Kids Club, we are constantly learning new skills and this year the boys and girls learnt to knit, they made various items from Mug warmers to Phone sox as gifts for Mums & Grandma’s for mothering Sunday. Many children have continued with this new found talent and ask for more things to make, we now have a knitting club. Gallery | This entry was posted in Westfield Community Centre and tagged Westfield Kids Club. Bookmark the permalink.